U.S. ambassador to South Korea Mark Lippert, 42, was slashed in the face by a Korean nationalist during a breakfast forum discussing Korean Unification on Thursday. Lippert endured deep cuts to the face and wrist but was able to walk after the morning attack. He underwent approximately two-and-a-half hours of surgery that required 80 stitches in his face. The assailant was apprehended and identified as 55-year-old Kim Ki-jong who police said used a fruit knife to attack the ambassador. 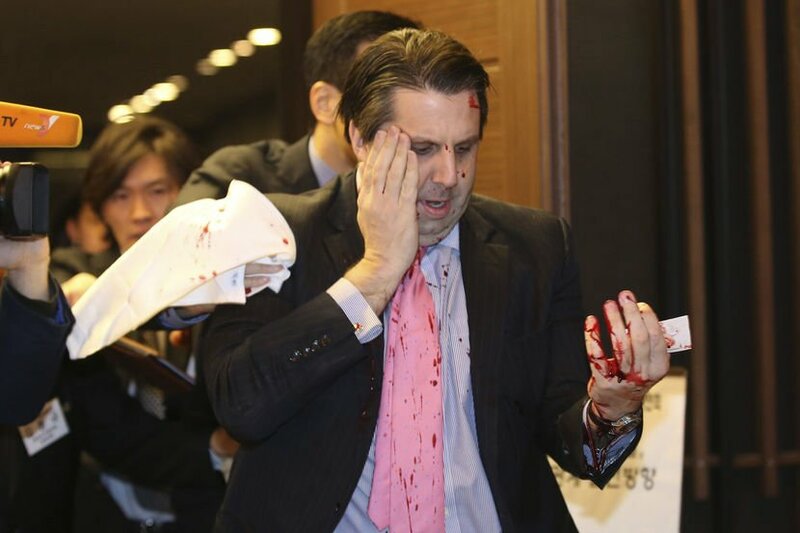 Kim, known to have staged nationalistic, one-man protests, assaulted Lippert to protest against ongoing joint military exercises between the United States and South Korea, which some South Koreans believe make reconciliation with North Korea harder. Kim had previously received a suspended 2-year prison sentence in 2010 for an attack on the Japanese ambassador to South Korea. U.S. State Department spokeswoman Marie Harf said that “we strongly condemn this act of violence”. According to a White House official, President Barack Obama called Lippert for moral support and wished him a swift recovery. During the attack, Kim was garbed in traditional Korean clothing and shouted that the two Koreas should be united right before attacking the ambassador. He also shouted about his opposition to “war exercises”, referring to the annual U.S.-South Korean military drills that started this week. John Delury, an American professor at Yonsei University in Seoul, stated that Kim “is very much a fringe element with a history of political violence”. He further says that the attacker’s actions “represent no broader sentiment or trend among the Korean public”, deflecting any indication of anti-American feelings in South Korea. On the other hand, North Korea’s official news agency, KCNA, called the attack a “deserved punishment for the warmongering United States”. The news agency said that the “knife of justice” attack was a reflection of the opposition felt by South Koreans towards the joint military exercises. Police officials say that the police were present at the venue not at the request of the organizers or the U.S. embassy, but rather as part of routine operations. 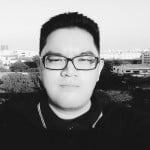 Witness Michael Lammbrau from think-tank Arirang Institute said that Kim continued to shout about Korean independence as he was being restrained. “It sounded like he was anti-American, anti-imperialist, that kind of stuff”, he recalls. The Thursday event was hosted by the Korean Council for Reconciliation and Cooperation, which later condemned the attack and apologized to the U.S. and South Korean governments. The joint military exercises between the United States and South Korea routinely elicits an angry response from North Korea, which denounces them as provocations. The drills, which are due to run for eight weeks, would continue as planned according to a South Korean defense ministry spokesman. Lippert was a former U.S. Senate aide to Obama and won the Bronze Star after serving in the U.S. Navy in Iraq and Afghanistan. Prior to his posting in Seoul, he was chief of staff for former Defense Secretary Chuck Hagel. Previous articleTraining Manny Pacquioa for the Big Fight Against Floyd Mayweather Jr.